Direct River NEW Estate Home. This new construction riverfront family home features 4 Bedrooms, 3.5 Bathrooms, and 3 Car Garage. 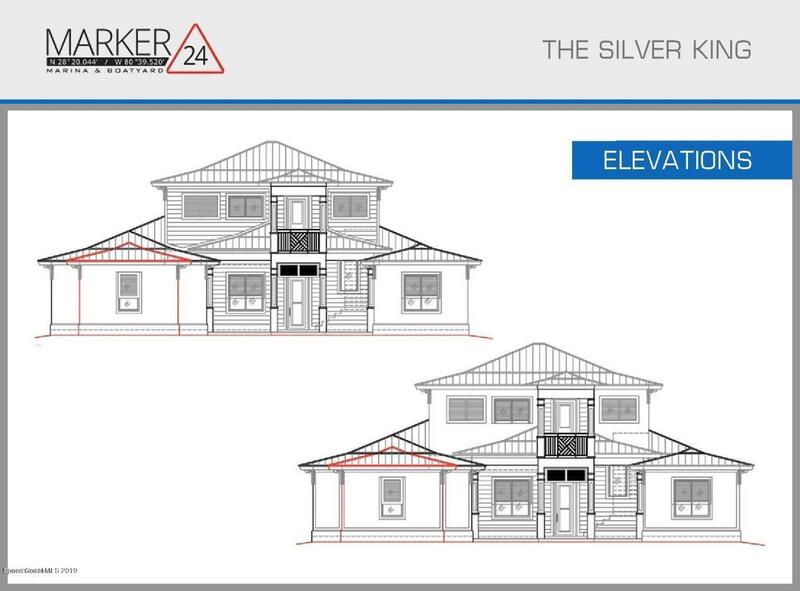 This Silver King floor plan has a ground floor master suite & upstairs master, impact doors & windows, & metal roof. Situated in a NEW riverfront marina community of luxury homes & private marina slips this maintenance free lifestyle offers 24 lucky owners the opportunity to live a lifestyle featuring a private drawbridge with onsite security, members only riverfront clubhouse, ship store, dock master, concierge, and more. You will find it hard to believe that the high end features included in these homes are standards. And think what fun you will have choosing your beautiful selections. Come experience everything the luxurious marina lifestyle has to offer!